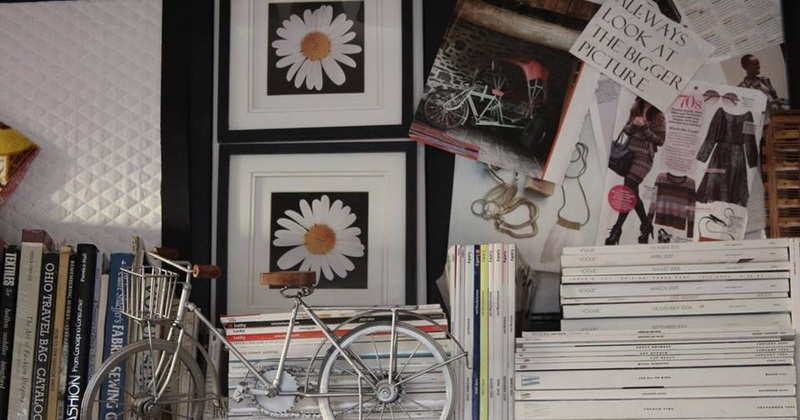 Before I started ONE GIRLS PARTY, I was always loved fashion and was a magazine junkie. I would collect picture and story about people who are in fashion (I still do)....so INSPIRATION OF THE WEEK was always with me for years and not something I just dream up today, its true inspiration. 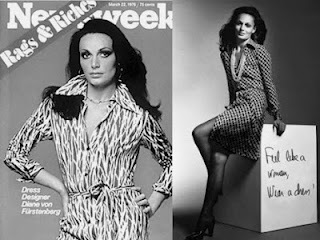 DIANE VON FURSTENBERG the woman of the 70's. who at the time was call the most marketable woman since COCO CHANEL for her design of the wrap dress!! 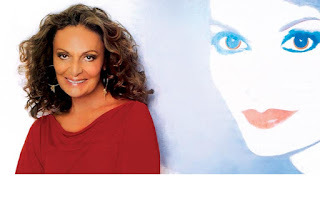 Staying focus with the brand DVF was game changer for me. What a cool move, making the brand young, fresh and new, But still classic like the lady her self...For me aging in fashion it not about be young looking but being young a HEART..Thank you Diane for being my go to "Young at Heart Designer".